We are so excited for the BIGGEST SHOW of the SUMMER! 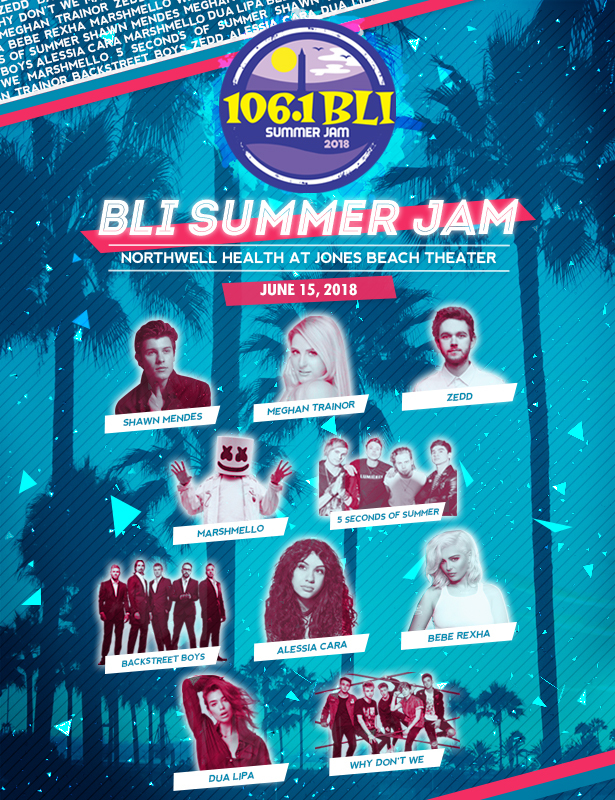 BLI SUMMER JAM comes to Northwell Health at Jones Beach Theater on Friday, June 15th! Have you seen the Line- Up? It is incredible and this will be a show your whole family will enjoy. We always have our radio tuned to 106.1 BLI so we were so excited when we heard all the artist names live yesterday, at 5pm with Syke on Air and Dana, yesterday! and newly added: Liam Payne!